There are just seven fixtures in the Absa Premiership this weekend with the encounter between Maritzburg United and Golden Arrows postponed due to the tragic passing of Mondli Cele. Mamelodi Sundowns, who beat struggling neighbours University of Pretoria 2-1 last weekend, are top of the Absa Premiership standings with 30 points from 14 games. Mpumalanga Black Aces are just behind on goal difference, while Bidvest Wits (29 points) and champions Kaizer Chiefs (25 points) are in hot pursuit. Sundowns will look to continue their strong form when they host SuperSport United at Lucas Moripe Stadium. Black Aces will play host to relegation-threatened Tuks at the Mbombela Stadium on Sunday, while Chiefs welcome strugglers Platinum Stars at the FNB Stadium. There are other cracking matchups in store with lots of money to be made. Bidvest Wits surrendered their spot at the top of the Absa Premiership standings when they went down 2-1 to Mpumalanga Black Aces last Friday, despite having scored first. Instead of building on an early first-half goal by Thulani Hlatshwayo, the Clever Boys allowed Aces to equalise in the first-half before Collins Mbesuma completed his brace late in the second half to secure maximum points for the visiting side to go level with Sundowns at the top of the table. Gavin Hunt admits that his side have struggled at home against teams happy to sit back and absorb the pressure. Polokwane City crushed SuperSport United 4-1 at the Old Peter Mokaba Stadium last Saturday thanks to a stellar performance from Thobani Mncwango who scored all four goals. Julio Leal will be hoping his side build on that performance and will satisfied with a point. The draw looks likely at 23/10. Free State Stars beat Platinum Stars 2-1 last Sunday, with Moeketsi Sekola netting a late winner from the spot after his teammate Paulus Masehe cancelled out Ndumiso Mabena's opener at Moruleng Stadium. Ea Lla Koto are eighth on the Absa Premiership table with 18 points from 13 matches, a point ahead of Bloemfontein Celtic, who lost 1-0 at home to champions Kaizer Chiefs last weekend. Phunya Sele Sele are now winless in their last eight league matches with four defeats. The home win is tipped at 15/10. Orlando Pirates salvaged a point at Maritzburg United last weekend after coming back from 3-0 down to draw 3-3 at the Harry Gwala Stadium. It turned out to be a sad day for local football as Maritzburg United’s Mondli Cele was involved in a car accident after the match against Orlando Pirates, where he scored the opening goal. Despite a remarkable comeback from the Buccaneers, Eric Tinkler was extremely disappointed with his players for not following instructions. Pirates are currently in 11th position on the log, with only four wins in 13 league matches this season. Their opponents, Jomo Cosmos, are even worse off in 14th place having picked up just two wins from 14 games. Ezenkosi are coming off three straight losses and Pirates are tipped to secure maximum points. SuperSport meet free-scoring log leaders Mamelodi Sundowns this Saturday at Lucas Moripe Stadium. The Brazilians ousted University of Pretoria 2-1 in their Absa Premiership clash at home last weekend. The result extends Sundowns' unbeaten run to 14 games and Pitso Mosimane will happy to return to the Loftus Versfeld Stadium where his team are unbeaten in nine games with eight wins, including six on the spin. Gordon Igesund watched his side suffer a 4-1 defeat to Polokwane City last Saturday with Thobani Mncwango scoring all of City's goals. Matsatsantsa have now conceded six goals in two matches this year, prompting concern from Igesund. 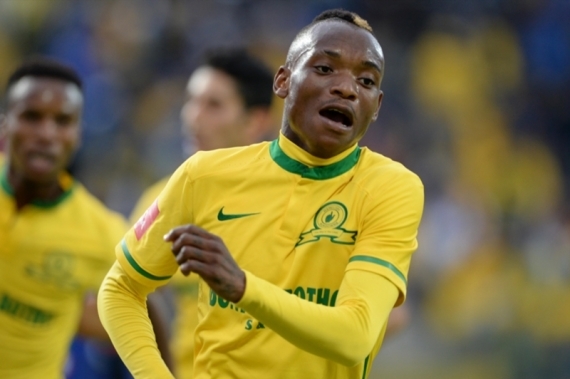 Sundowns are tipped to put SuperSport to the sword. Chippa United moved to seventh position on the log after beating Golden Arrows 2-0 thanks to goals from Nkosinathi Mthiyane and Lerato Manzini. The Chilli Boys will be hoping to build on that result when they take on Ajax Cape Town this weekend. The Urban Warriors ended an eight-game winless run with a come-from-behind 2-1 victory at fellow strugglers Jomo Cosmos last Sunday. The win saw Ajax pull seven points clear of the relegation zone into 12th place in the Absa Premiership standings. A tight affair is expected with Roger de Sa’s side tipped to edge the win at 18/10. A Willard Katsande penalty 20 minutes from time ensured Kaizer Chiefs kept up their long-standing dominance over Bloemfontein Celtic with a 1-0 win at the Free State Stadium last Sunday, advancing the champions to within five points of the summit. The Glamour Boys are unbeaten in their last three games at the FNB Stadium with wins over Golden Arrows and Bidvest Wits. Platinum Stars are coming off a 2-1 defeat at home to Free State Stars last weekend. Dikwena are winless in five matches with three defeats, scoring just three goals while conceding nine times. Steve Komphela’s side are tipped to make easy pickings of their opponents. Tuks find themselves in the relegation-playoff position after suffering a 2-1 loss to Sundowns – their ninth defeat of the campaign. Coach Sammy Troughton hopes a plea he made to his players to fight for his relegation-threatened team will help them through a torrid few matches. Tuks have lost five of their last six home matches, but did manage to beat Jomo Cosmos 1-0 last time out. Mpumalanga Black Aces are top of the Absa Premiership standings following a 2-1 victory over Wits at Bidvest Stadium. Goals from Collins Mbesuma in the 16th and 82nd minutes saw the men from Mpumalanga record their ninth win in the league this season. Amazayoni are in a rich vein of form with five wins on the spin, keeping three clean sheets. The away win is a banker bet.